The owl continues. I need to look at deepening the shadows more, and start on the tail next. So far I have only used a 0.25 nib (Rotring rapidograph), but I will probably need the 0.18 and 0.5 to get this to a halfway decent state. 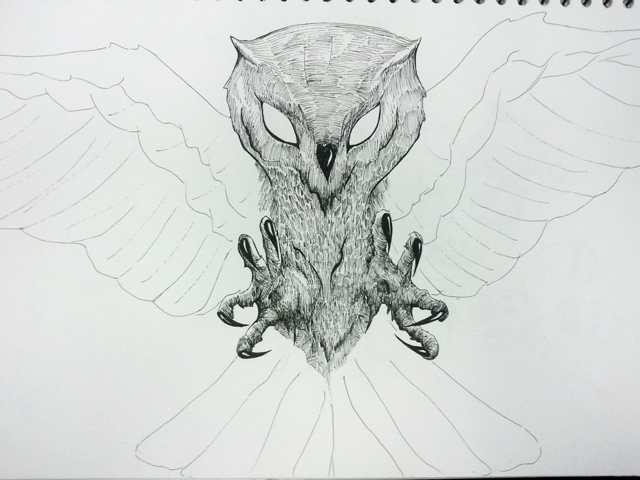 This entry was posted in Quick Desksketch and tagged owl by Anthony. Bookmark the permalink.